In a speech before business leaders at the Business World Economic Forum at Shangri-La, VP Robredo emphasized the value of inclusive growth to achieve real progress in the country. "We need growth for all, not just for a select few. Progress that benefits only the elite is no progress at all," Robredo said. The Housing and Urban Development Coordinating Council (HUDCC) Chairperson cited the research findings of the Organization for Economic Cooperation and Development(OECD). Findings indicate that inequality or income disparities take away significant percentage points from the growth rates of countries. For example, the cumulative growth rate for Italy, UK, and the US would have been higher by 6 to 9 percentage points if income disparities did not widen. In the Phlippines, Robredo said that for year 2009, "the poorest 20% of the population accounted for just 4.45% of the national income." She is encouraging businessmen to be more innovative, citing a worldwide trend where corporations are reinventing capitalism. Robredo said, "a new crop of businessmen know that as more people break the cycle of poverty, more people can buy their products or services." She added that doing business as usual, widens the income gap. 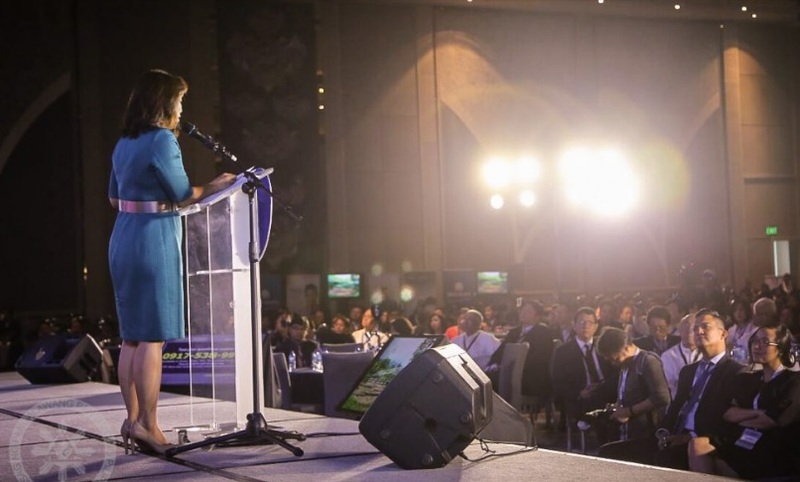 Known for championing the plight of those at the fringes of society, Robredo said progress will be brought to the excluded bottom by supporting small players and social entrepreneurs. "Gone is business as usual. Let's embrace business unusual, celebrate disruption and innovation, and create wealth and profit shared by both top and bottom," Robredo said. As to her job as HUDCC Chairperson, Robredo said they will address the 1.4 million housing backlog in the next six years. She enjoins the private sector to be HUDCC's partners in providing decent and affordable communities. Robredo has only been on her job as HUDCC Chair for a few days, but this early, she is showing signs of becoming one of the most responsive and capable Cabinet members of the current administration.